Ready for a fun cue word this week? What crafty person doesn't like this word?! However, we're curious to see what other creative paths this takes some of you down! Some of you have definitely provided some surprise interpretations with past cue words! Before we show you the inspiration from the design team and guest designer, we want to welcome a brand new sponsor! Please welcome Melon Door Lighthouse! At Melon Door Lighthouse, we are completely fascinated with illustration and character design. 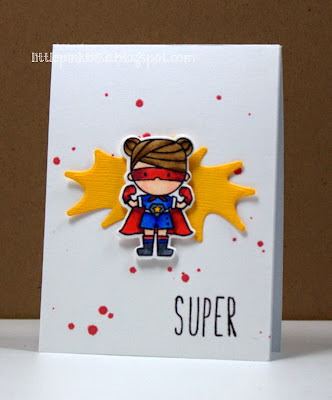 This has led us to draw images with card crafting in mind Our style has changed a lot over the years and we have lately been intrigued by clean and simple styles. Our latest digital work bears inspiration from some of the artwork done over the years, which carries hard edge and cubist influences. More so, we design these images with you crafters in mind. They are simple and fun to use and, in addition, they are very easy to colour, so all of you, even if at different levels, can have a chance to use these images. 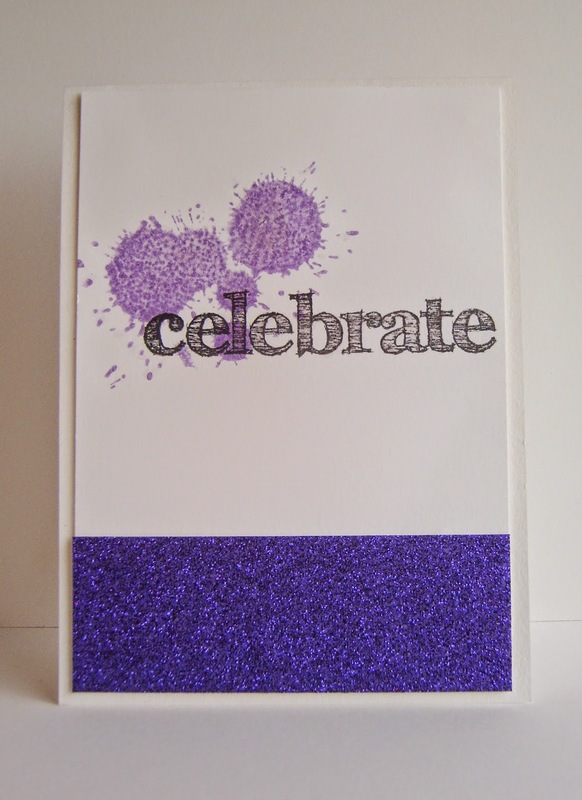 This week's winner will receive a digital stamp set of their choice from the online store! This voucher will be valid for 6 months. Let's go ahead and take a look at what the design team and this week's guest designer created to inspire you! 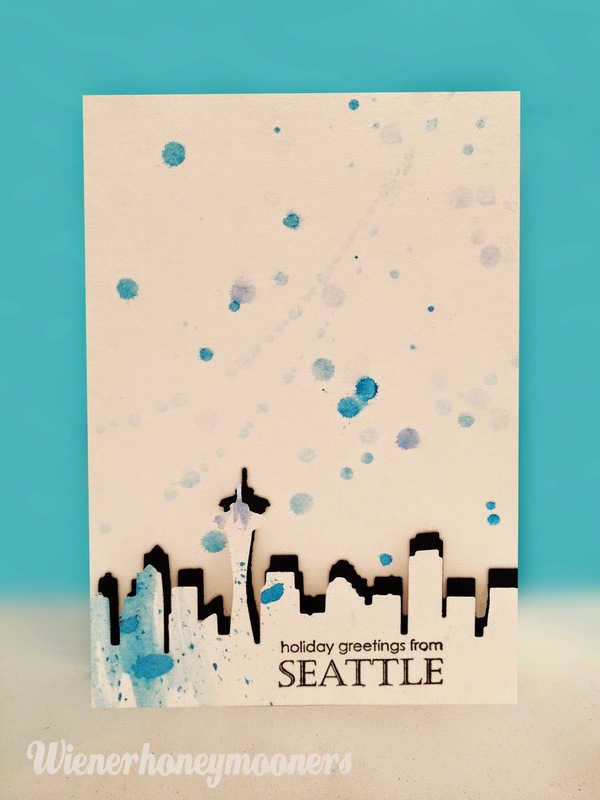 White space is preserved if you concentrate your stamping on or near the focal point. A bold strip of colour adds interest while allowing the white space to dominate. If you make a mistake, such as a large glop of mist, add an additional layer under your image to hide it. It helps to keep color schemes simple on a CAS design. Let your sentiment take centre stage. Love messy, inky techniques? 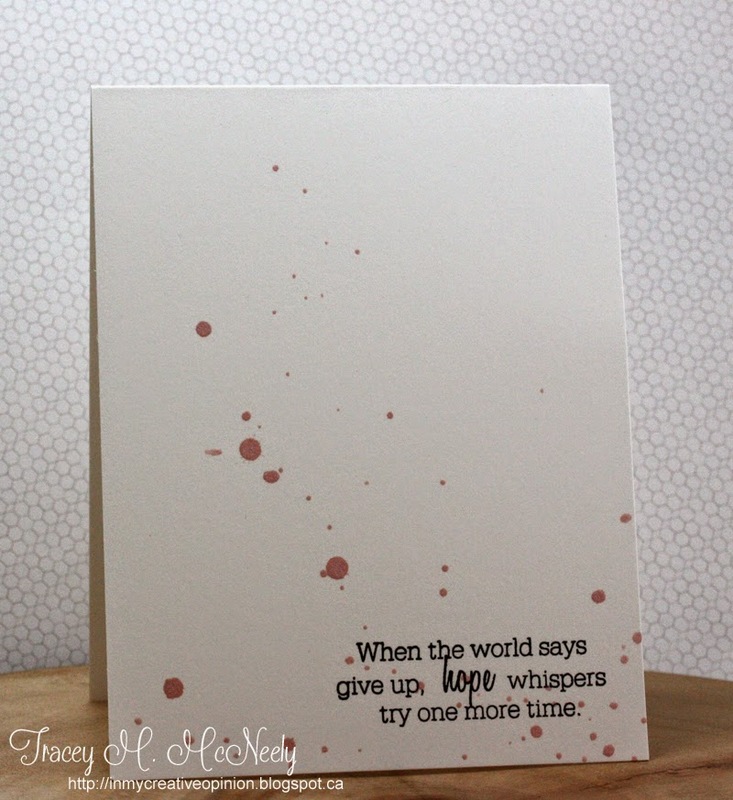 Add lots of white space and you've got CAS! 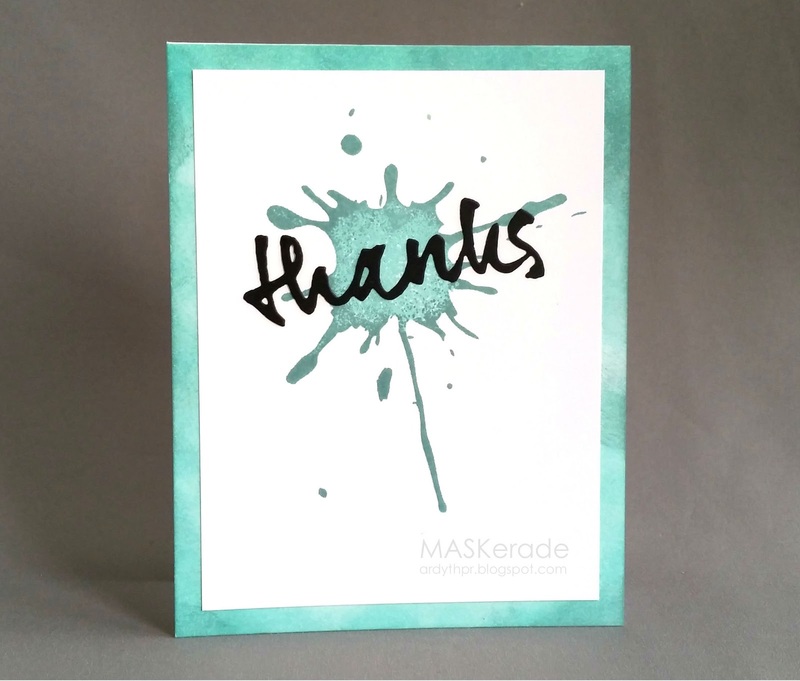 Masking can be a great way to keep your design compact. 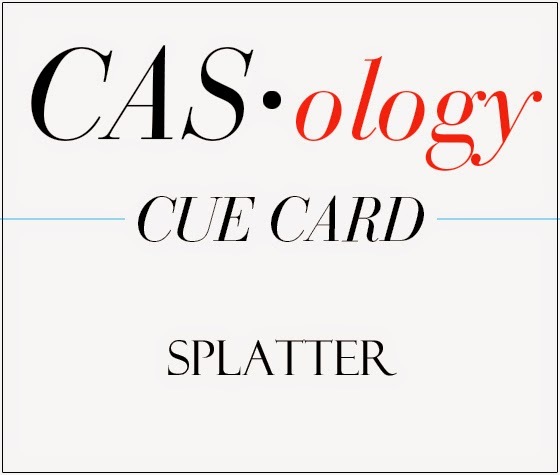 Pop up one image to add depth and interest to your CAS card. 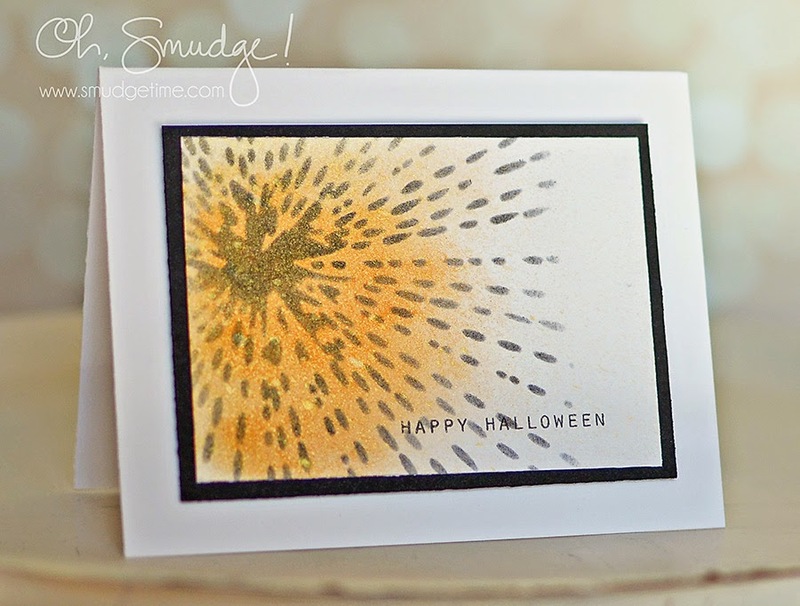 Cluster stamped elements together to leave a lot of white space. 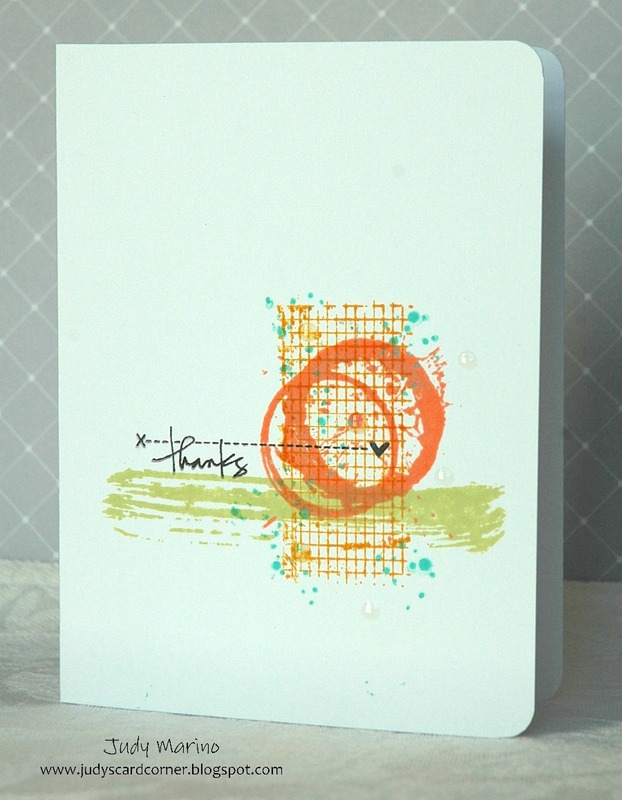 Even graphic stamps can be clean and simple! of open space for a nice CAS creation. Awesome cards, ladies!!! 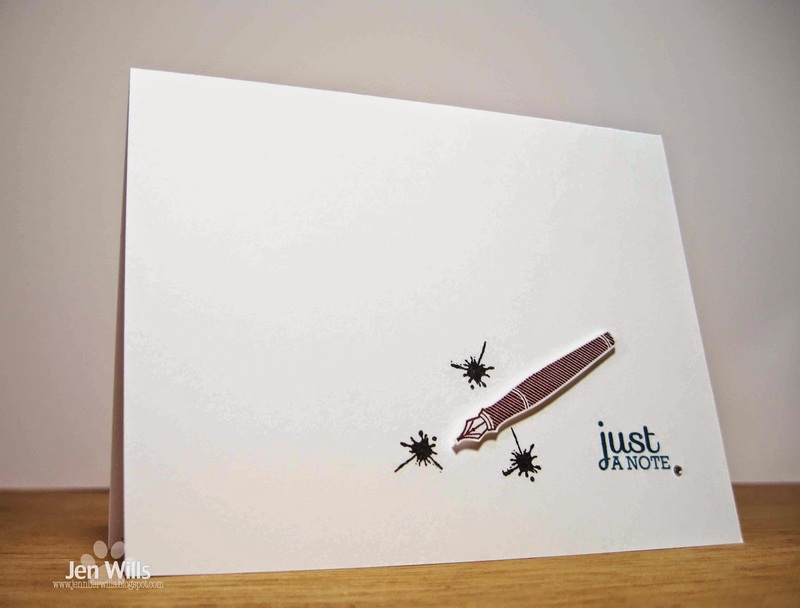 Such a fun cue card!